Chunk the cucumber after you've peeled and seeded them (removing seeds also removes those cucumber burps); cut onion in half and then slice thin; cut tomatoes in half; drizzle in vinegar/oil dressing of your choosing (I use home made Zesty Italian). 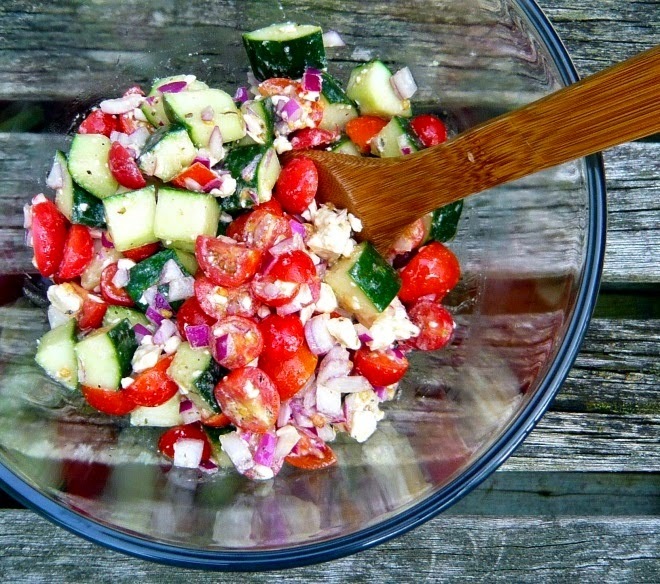 Sprinkle in feta cheese, chill for about half hour and serve. Great with pork, chicken or meatless. Boil 1 box of garden Rotini pasta to al dente, drain, rinse and set aside. 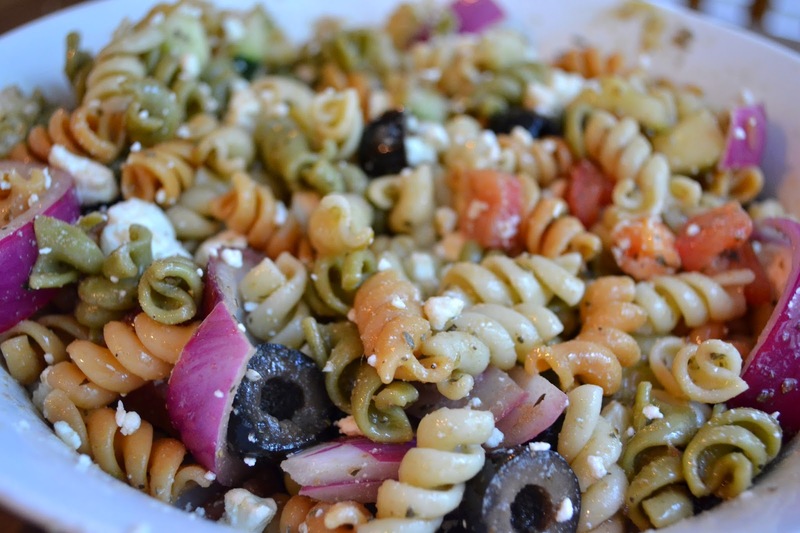 Make basic greek salad as above, add one can whole olives (drained and cut in half) and add to pasta. Toss in oil/vinaigrette dressing of your choosing and serve chilled.